The Dexter Parsonage Museum, historic home to twelve pastors of the Dexter Avenue King Memorial Baptist Church from 1920-1992, was placed on the National Register of Historic Places in 1982. It was restored in 2003 by the Dexter Avenue King Memorial Foundation, Inc., under the direction of church members, acting as an Authentication Committee. 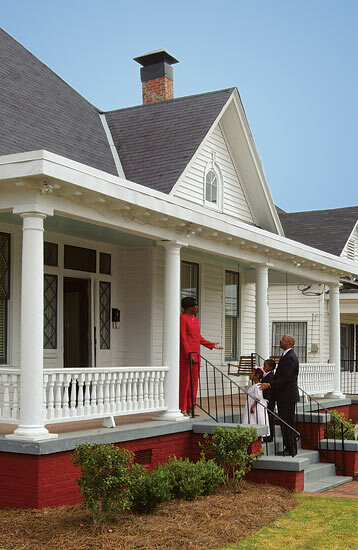 Visitors to the Dexter Parsonage Museum will experience the actual residence where Dr. King and his young family lived between 1954 and 1960; an Interpretive Center, and the King-Johns Garden for Reflection. Parking is available for cars and tour buses. The Interpretive Center, located adjacent to the Parsonage, features a gift shop, restroom facilities and an orientation room for viewing videos and discussion groups on Dr. King’s family, community, and pastoral life. The permanent exhibit in the Interpretive Center includes a timeline of photographs of the 12 Dexter pastors who lived in the Parsonage, a wall of Pastoral Wisdom (inspiring quotes from several pastors), unpublished photographs of Dr. King, Dexter members, civic/business leaders, and Montgomery ministers active in the bus boycott; and historical accounts on the bombing of the Parsonage and other significant events. The nine-room clapboard Parsonage, built in 1912, has been restored to its appearance when Dr. King and his family lived there. Much of the furniture presently in the the living room, dining room, bedroom and study was actually used by Dr. King. 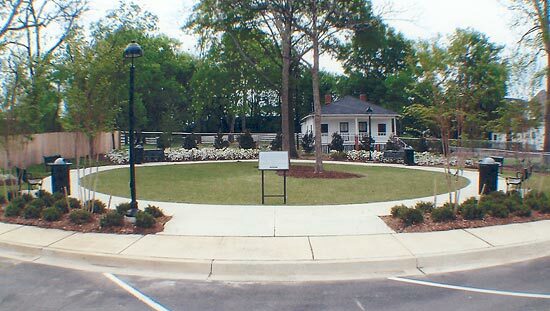 The King-Johns Garden for Reflection, located at the rear of the Dexter Parsonage Museum, is nestled in a magnolia tree-lined garden, featuring a sea of white azaleas and crape myrtles. Designed with a circular walkway, symbolizing unity, it provides a quiet space for tourists to reflect on the teachings of two of Dexter’s most renowned ministers. *The Parsonage is closed from 12 noon to 1pm, Tuesday thru Friday for lunch. Interested in a tour? Fill out our reservation request form, and we will get back to you asap!